Islam is not just a set of religious beliefs. It is an all-encompassing identity. It is inconceivable to change that identity, even for those who barely practice their Islamic faith. To do so is like suicide. It kills the identity of the convert and leaves the rest of the family in a state of shameful mourning. 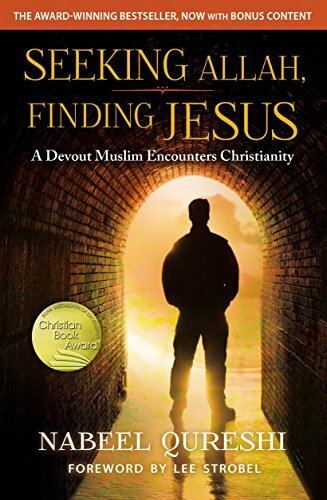 Nabeel Qureshi has given us, I think, not only an outstanding memoir of conversion to Christianity from the Islamic faith, but a formidable work of apologetics, in his book Seeking Allah, Finding Jesus. It makes an excellent companion work to Lee Strobel’s The Case for Christ (indeed, Strobel provides the introduction to this expanded edition). A while back I wrote a post in which I predicted, somewhat audaciously, that the mainline Protestant churches will eventually convert en masse to Islam, since social pressure will be great, and their current beliefs about Jesus aren’t really that different from those of Muslims. An intelligent commenter who called him/herself “MainlineProtestantWhoLovesJesus” objected that I was caricaturing the mainline churches, and oversimplifying. In rebuttal, I offer the video at this link (I can’t find a way to embed it). If you don’t care to click the link, let me summarize. This is a video produced officially by the very liberal United Church of Christ. In it, three smiling clergypeople — a UCC minister, a rabbi, and an imam — switch their vestments. Then they preach in the others’ houses of worship. Their sermons are exactly the same. All the listeners are pleased. They do not note (or do not care) that the major thing that divides us from Muslims and Jews is Jesus Christ, risen Savior and Lord. Now explain to me how a church that believes this way will never convert to Islam. I have a vague idea I may have written on this subject here before. But the scenario looks even more likely to me today than it did then (whenever that was). I consider it highly probable that the mainline Protestant churches will convert, en masse, to Islam. Very likely within my lifetime. Over the weekend, one person I don’t approve of killed a lot of other people I don’t approve of. The reasons for my disapproval of the groups are beside the point at a time like this. People are grieving. Real human beings have lost their lives, or been crippled or maimed for life. To talk doctrine just now would be un-Christlike. But I’m angry nonetheless. I’m angry because further lives have been lost to the worthless, statist institution of the Gun Free Zone. Orlando isn’t a case of equal and opposite evils. The moment any person takes it upon himself to murder defenseless people, he automatically becomes the Greater Evil. Decent people will all side against him. I hope. Some of my Facebook friends have been posting graphics supporting a group called “Pink Pistols.” Its purpose, I gather, is to encourage members of the homosexual community to take responsibility for their own safety through arming themselves. That’s one “gay” initiative I can support wholeheartedly. I take it as a given that one of the threats this group was originally organized to counter was the threat of people like me. Conservative Christians. Well, you know what? If some conservative “Christian” actually decides he’s got special license from God to murder people because he disapproves of their sins, he deserves the pink bullet he’ll get for it. Let him explain to Jesus how he justifies flouting the greatest commandment for the sake of a lesser commandment. Meanwhile, may God have mercy. Why you never question Allah: Islam’s trouble with blasphemy. This points out the shallowness of Islamic teaching. Their god supposedly knows everything, but if you don’t keep your nice face on, he’ll hammer you. Of course, it appears he will hammer you for just about anything, which is a theological perspective not unique to Islam. In the United Kingdom, an video intended to play among the trailers in front of the new Star Wars movie encourages viewers to seek the Lord in prayer using The Lord’s Prayer specifically. It has been pulled from the schedule because it could offend someone, which Andrew Wilson says is precisely what it should be doing. There is, after all, only one true God. St Helen’s Church in Eston, Middlesbrough, has suffered vandalism for years. It’s now being rebuilt, brick by brick, forty miles north in County Durham. 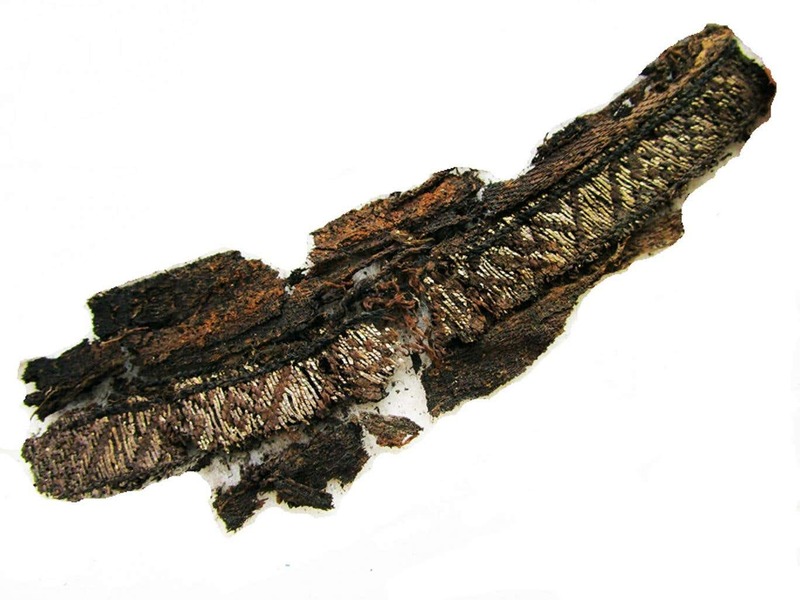 Twenty-five things we’ve forgotten about vikings. Robert R. Reilly explains the irrationality of ISIS. He says there were two schools of thought at one time, and the irrational one won out. Islamists do not live in what we might call historical time. Recall that for them the Qur’an is an ahistorical document. It exists in eternity. Also keep in mind that Ash’arite metaphysics guts historical time of its narrative meaning: time is a succession of unrelated events. ISIS adherents live in sacred time, which is static. In sacred time, everything is present all at once. This is why Islamists refer to Westerners in their literature as “Romans,” which is what seventh-century Muslim warriors called their Byzantine opponents. They are not being quaint. The past is present to them; that is why they must smash it if it does not conform to their beliefs.Ahistory fights history. This is why the Coptic Christians were faced north across the Mediterranean toward Rome when their throats were cut, as a warning that ISIS would next conquer Rome as Muslims once took Constantinople. A hundred years ago, it seemed obvious that the whole region was naturally destined to be Muslim, and little attention needed to be paid to the uncivilized and illiterate animists of the south and east. History was clearly moving in an Islamic direction. By the end of the 20th century, though, growth, progress, and wealth were badges of the emerging Christian Nigeria, and aggressive evangelism even threatened to make inroads into the Islamic heartland. Muslims still dominated the government and especially the armed forces—another legacy of the British colonial preference for that faith. But how long could that political dominance continue? Philip Jenkins reviews the book Boko Haram: Nigeria’s Islamist Insurgency by Virginia Comolli. While there are religious undercurrents throughout the country, Boko Haram is gaining both religious and civil ground in some ways, losing it in others. Nigeria hasn’t yet seen a civil war grounded in religious conflict, but much of the conflict it has seen has been helped along by spiritual hopes and fears.